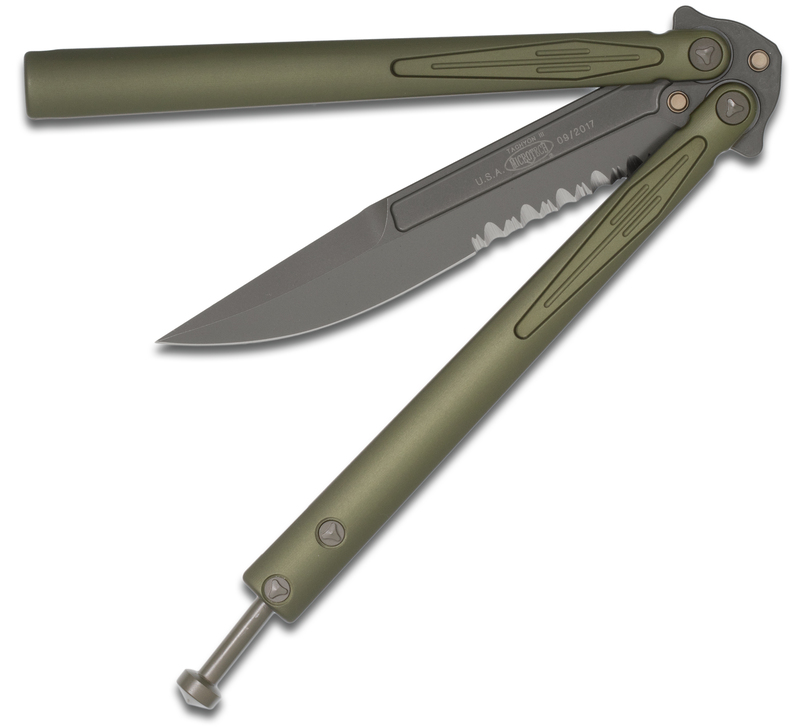 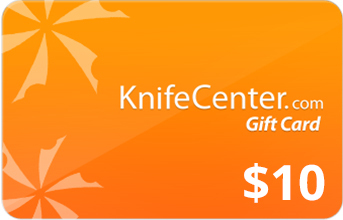 Released in 2012, the Tachyon II was modeled after Microtech's original balisong butterfly knife, the Tachyon from 2000. 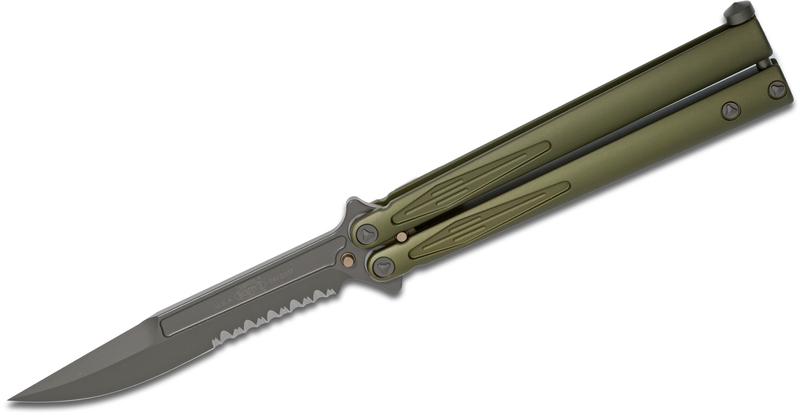 Re-engineered to perfection in 2015, the Tachyon III reflects the ideal evolution of Microtech's balisong line. 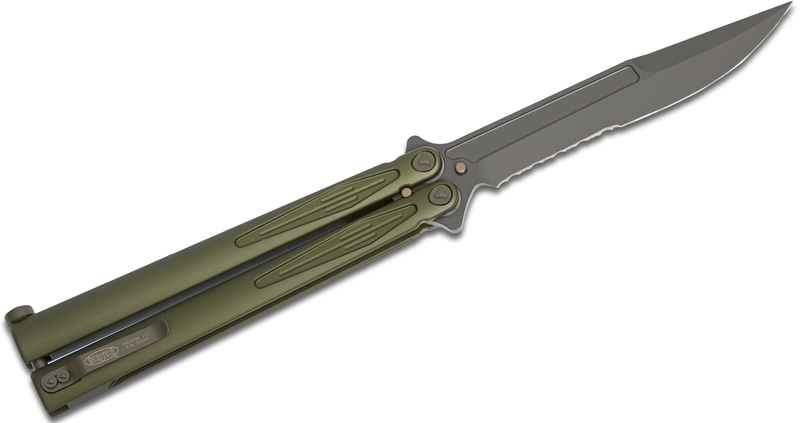 The updated Tachyon III is a gorgeous, full-size butterfly knife with an extremely solid build and a totally refined look. 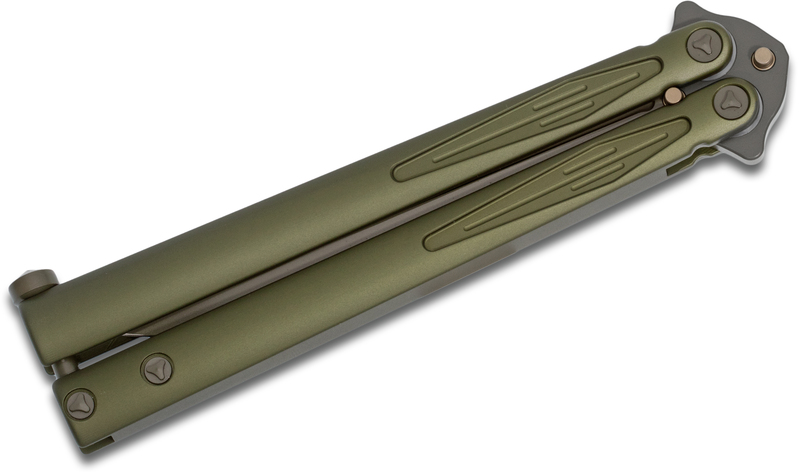 The aluminum handles are machined from a solid billet with a green finish. 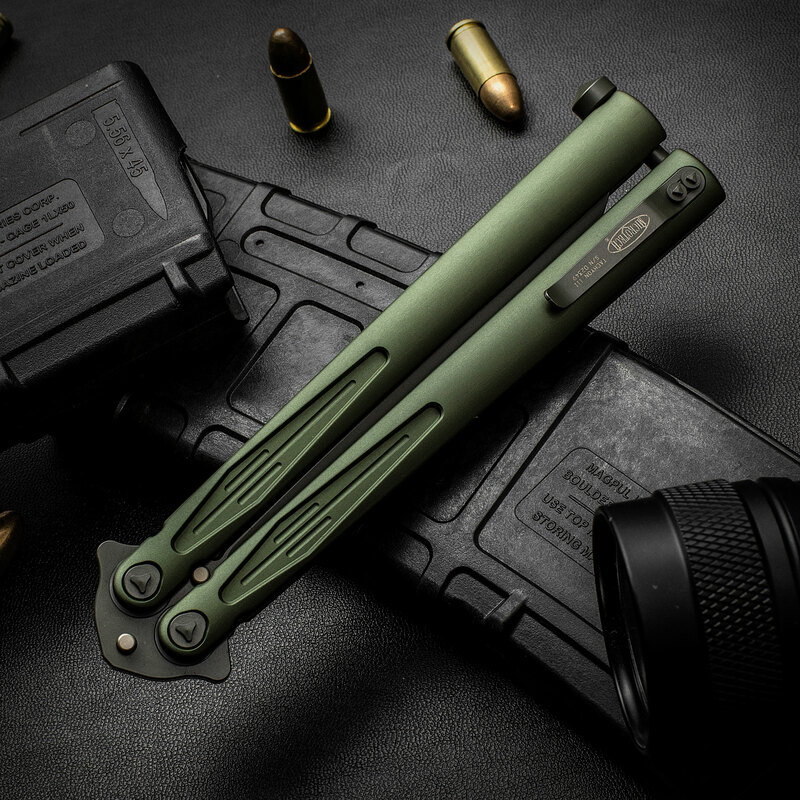 A redesigned silicon nitride race bearing system creates a flawless flipping mechanism. 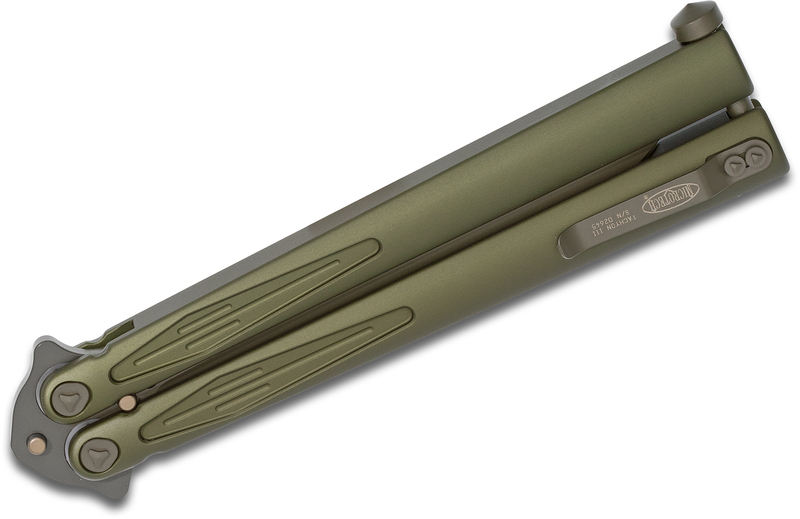 There is also no flex in the handles which shows that not only is this bearing system smooth, it's very solidly designed as well as manufactured. 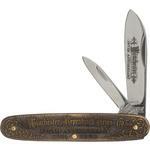 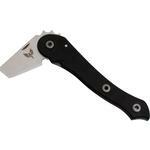 The recurved 4.5" stainless steel blade has a bronzed finish and traditional Marfione fuller. 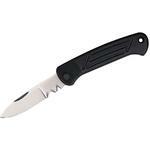 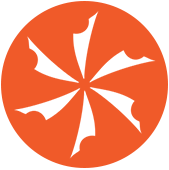 The overall length of the knife has been significantly lengthened, generating an improved balance compared to its predecessor and this model includes a spring pocket clip. 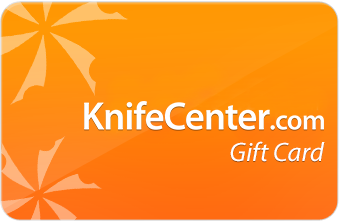 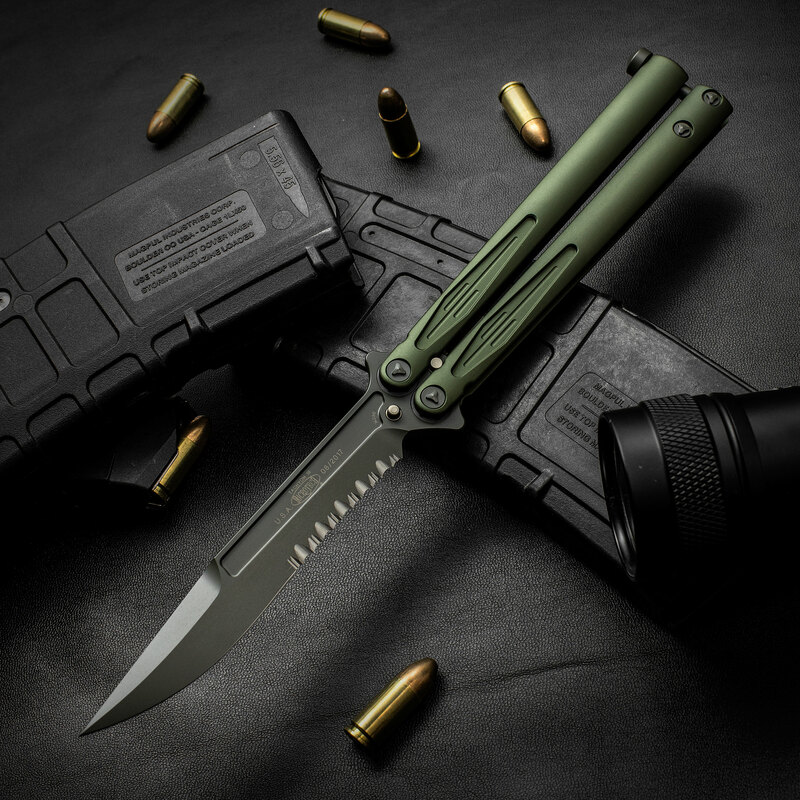 Hey, I wanted to share "Microtech 173-2GR Tachyon III Balisong Butterfly Knife 4.5 inch Green Combo Bowie Blade, Green Aluminum Handles" with you from KnifeCenter.